We investigate a range of clinical factors and anti-rheumatic treatments, for their degree of association with rheumatoid arthritis (RA) fatigue in 557 patients. A range of clinical measures concerning disability, pain and disease activity together with drug history were recorded as part of routine clinical visits. Fatigue was measured using the Functional Assessment of Chronic Illness Therapy (FACIT-F) questionnaire. Spearman's correlation (p < 0.05) evaluated FACIT-F against the other clinical measures. Mean FACIT-F was compared between the treatment groups. Multivariate linear regression analysis investigated association between the clinical measures and FACIT-F in more detail. Correlation (p < 0.05) with FACIT-F was the strongest for Health Assessment Questionnaire (HAQ) (r = −0.68), patient global (r = −0.64) and pain (r = −0.62) visual analogue scores. In multivariate models, DAS28, HAQ and pain explained variability in fatigue the best (R 2 = 0.54). Further analyses, looking at the sub components of DAS28, show that fatigue is mainly associated with tender joint counts and pain rather than swollen joint counts or erythrocyte sedimentation rate. RA fatigue levels were not significantly different between patients on no treatment, disease modifying anti-rheumatic drugs or biologics. Fatigue in established RA is not specifically influenced by the type of treatment used but is associated with tender joint counts, pain and disability. This finding is in contrast to recent trials in early RA that suggest biologics are better than traditional disease modifying anti-rheumatic drugs for fatigue. 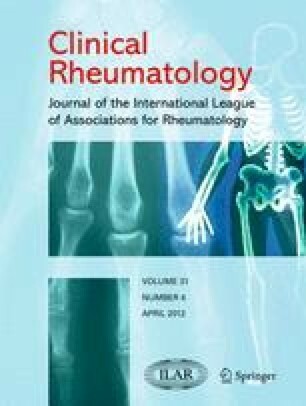 This difference in result may be because the origins of fatigue are not the same in early compared with established RA. DL Scott and G Kingsley receive support for their research from the Arthritis Research Campaign. DL Scott is a National Institute for Health Research Senior Investigator.